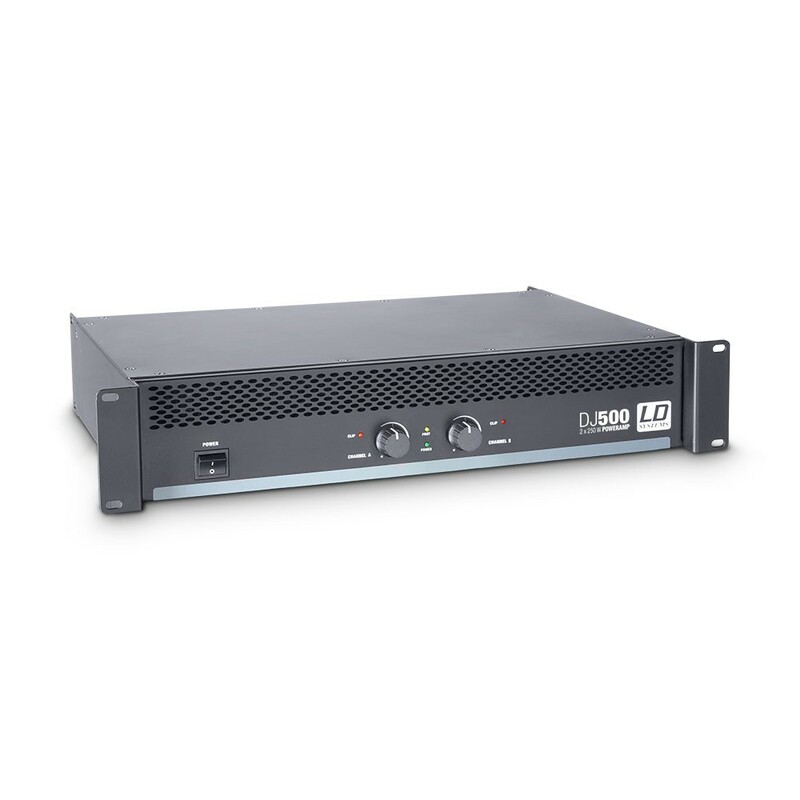 The DJ500 is a powerful, full-featured Class AB power amplifier with an output of 250W per channel @ 4 ohms and 500W in switchable bridge mode. It is especially suitable for mobile use by DJs and smaller bands and in permanent installations. 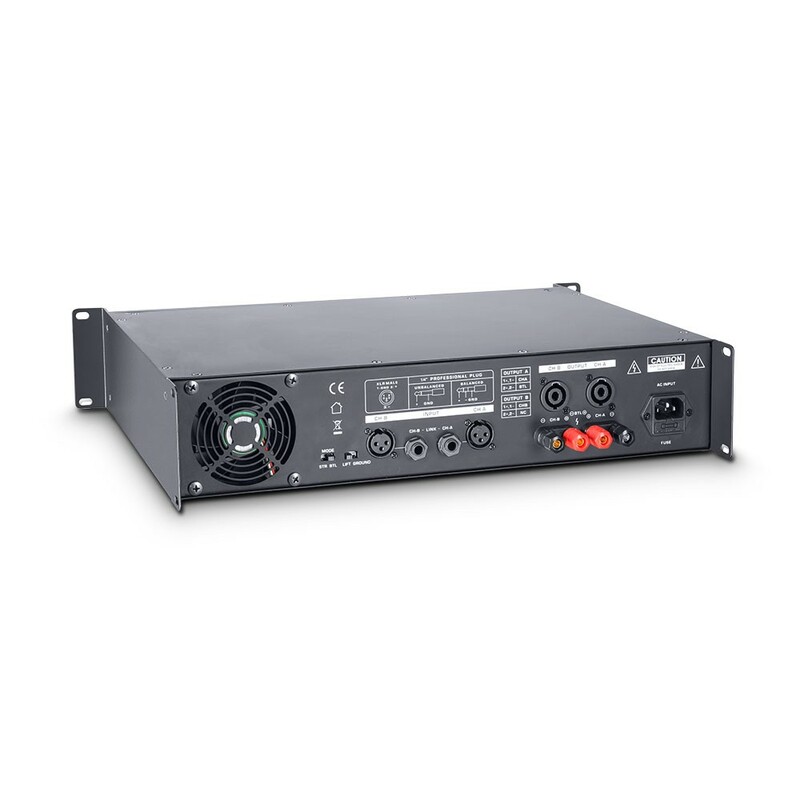 The DJ500 has extensive protection circuitry and a power-on delay. 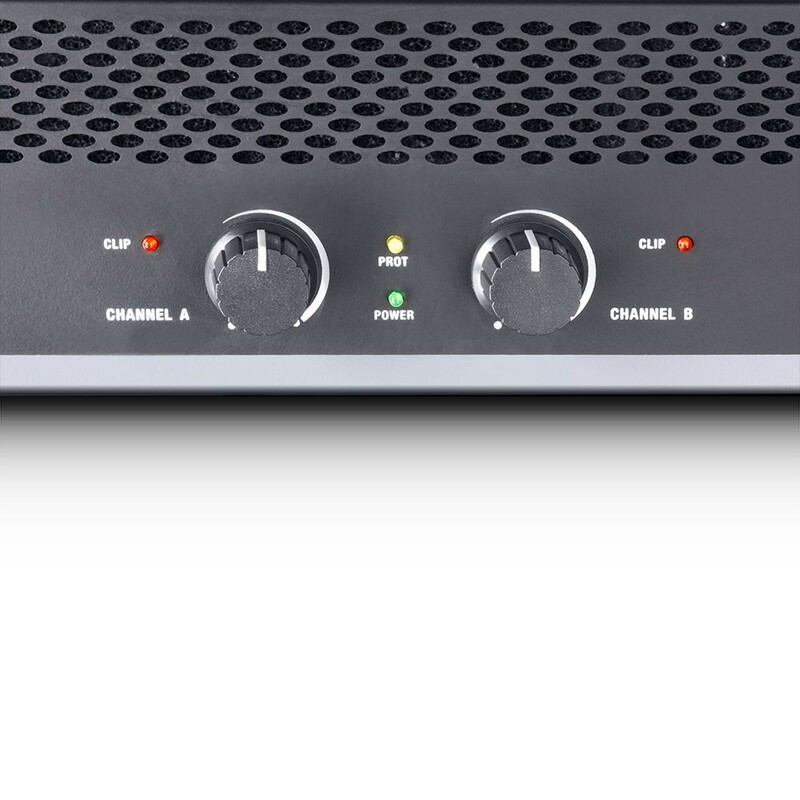 The half perforated front panel and a low-noise fan keep the amp cool. 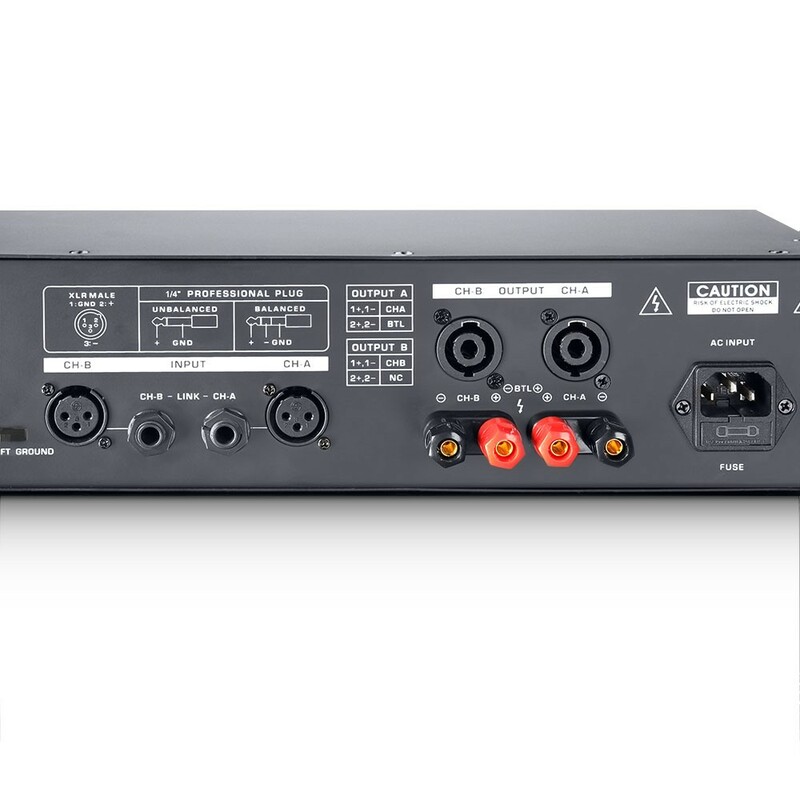 XLR and stereo TRS sockets are used as inputs and Speakon-compatible sockets and heavy-duty screw terminals as outputs. A ground lift switch helps eliminate ground loop hum. LEDs on the front panel next to the easy-grip volume controls indicate functional status, overloading, and triggering of the protection circuit. The DJ500 functions in the entire frequency range of 20Hz - 20kHz with extremely high dependability, dynamics, and impulse fidelity.